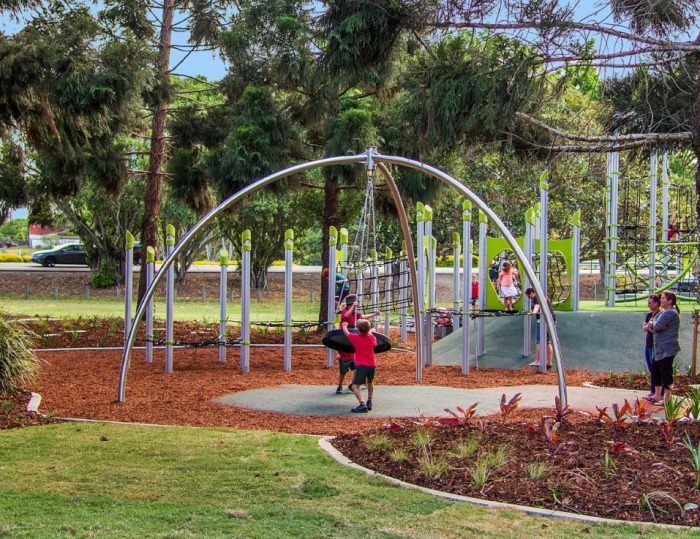 Accompanying these net towers and climbers is our Mega Swing, a beautiful stainless steel basket swing that is both aesthetically appealing and interesting for children of all ages and abilities, providing a real social aspect to the park. 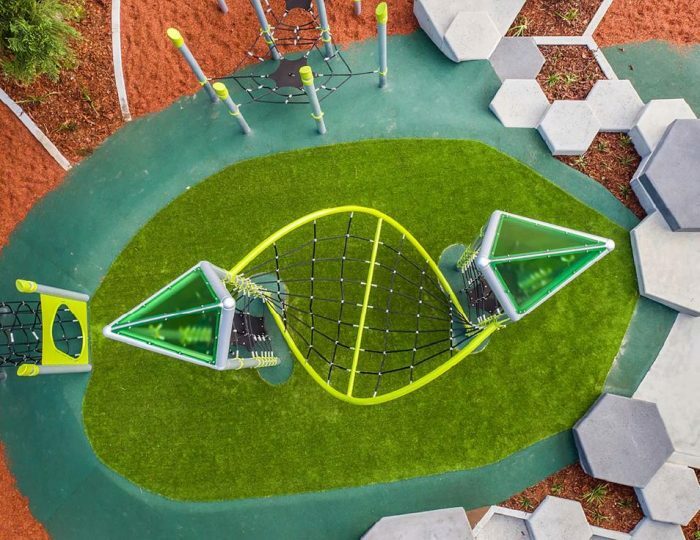 The hexagonal blocks and concrete seating elements were instrumental in providing a more non-descript atmosphere to the unique space, and were developed in partnership with Street & Garden Furniture. 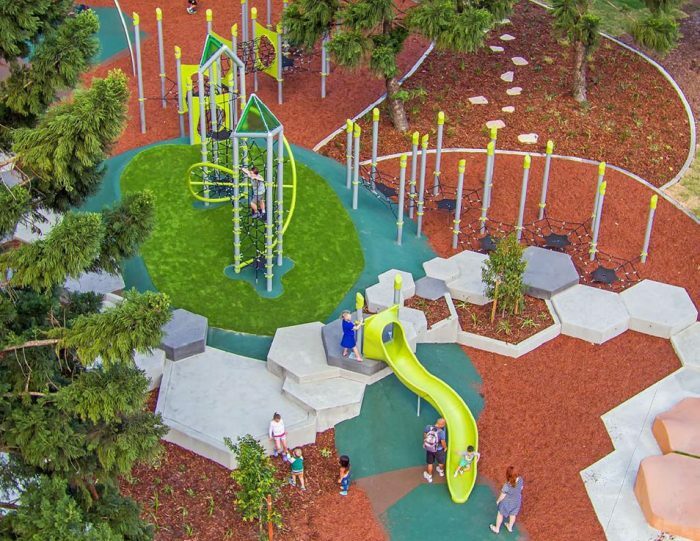 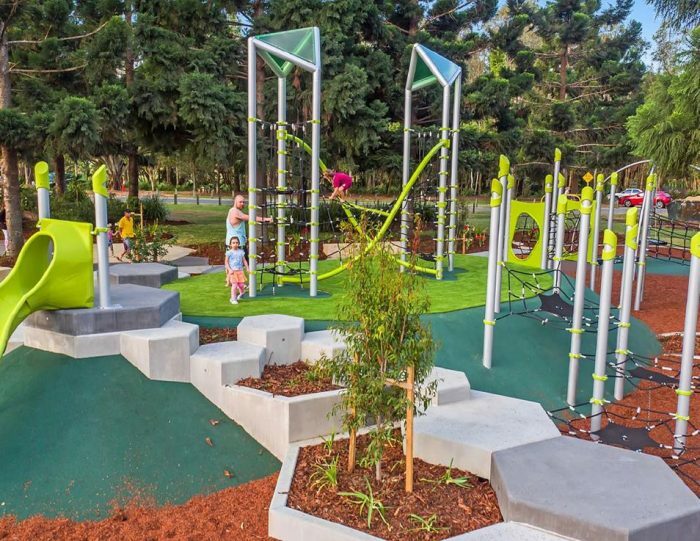 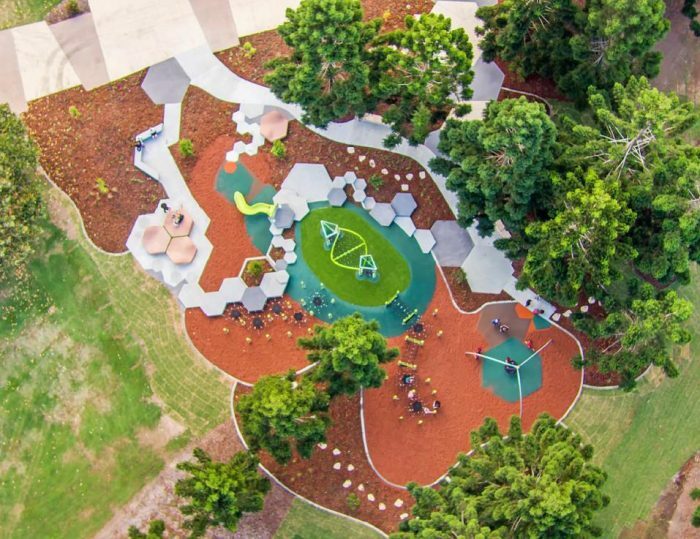 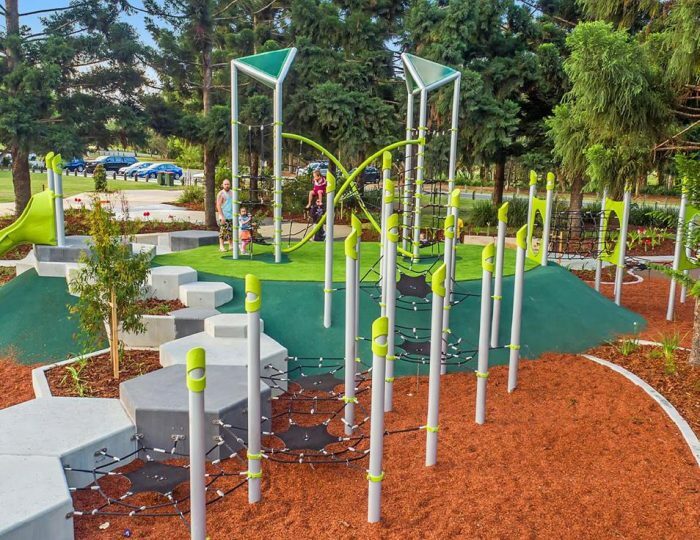 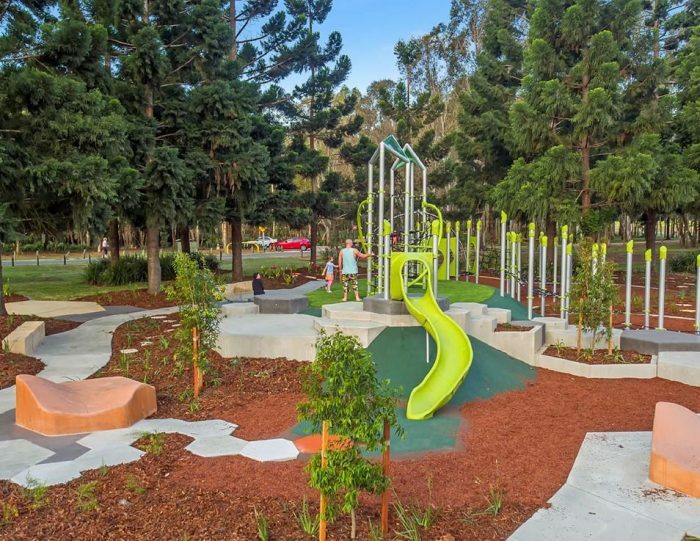 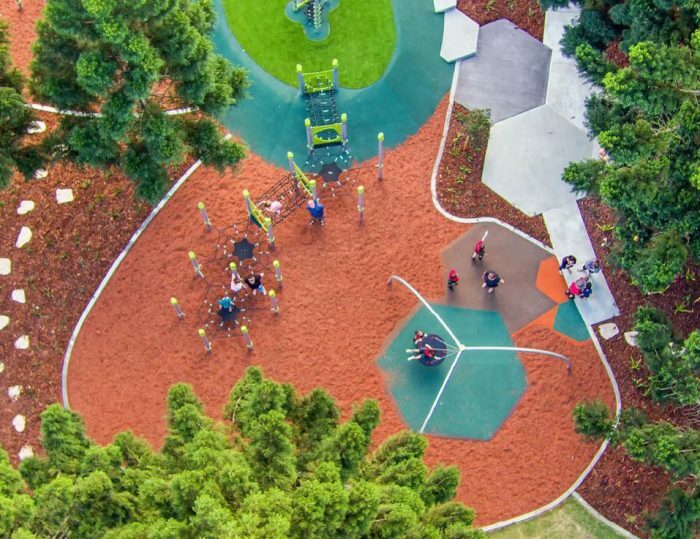 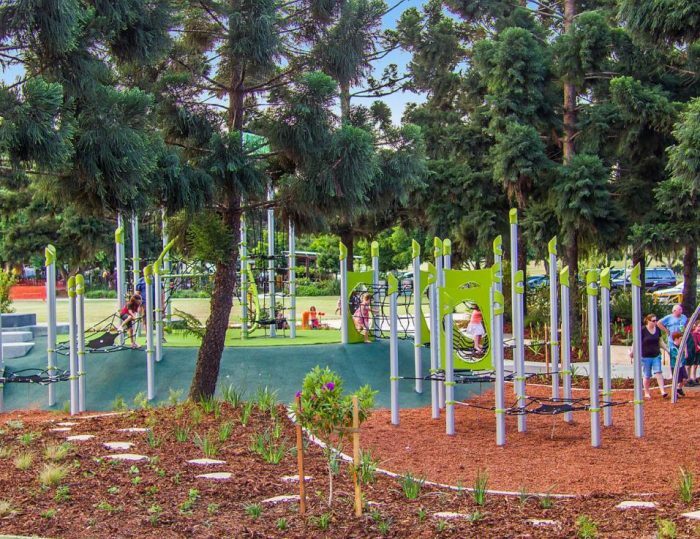 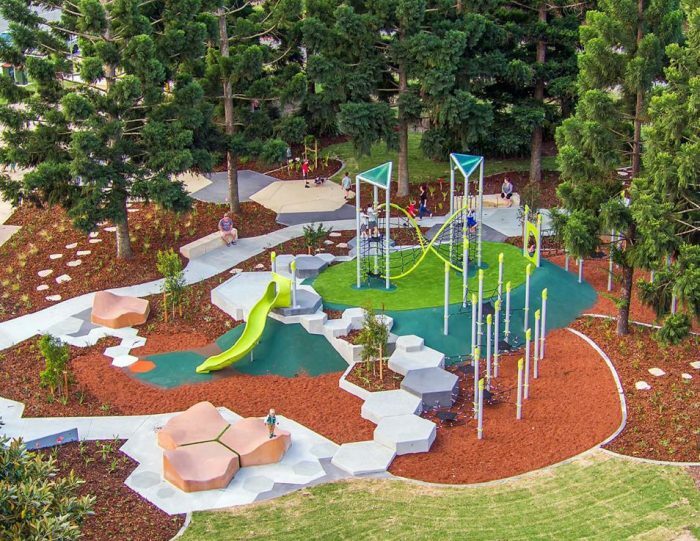 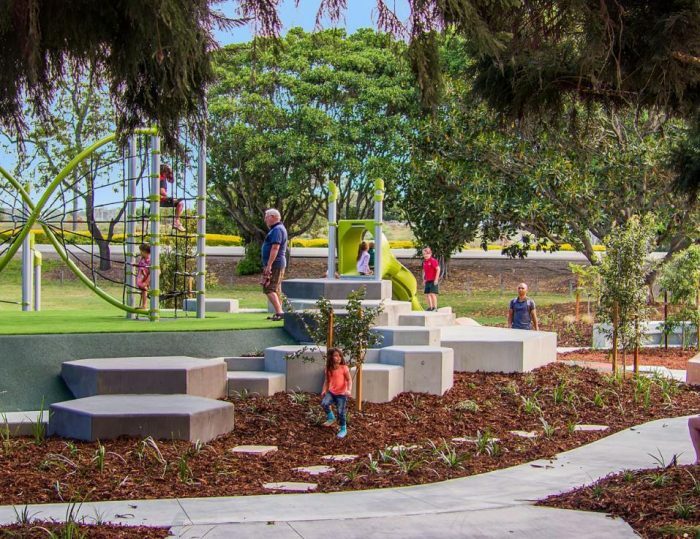 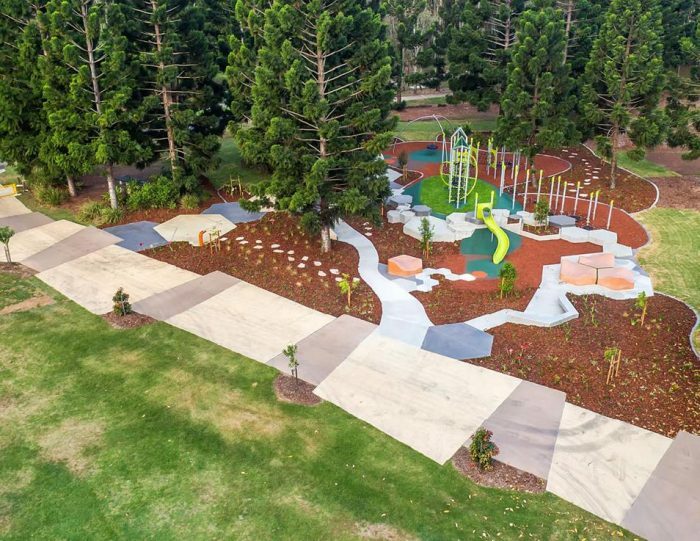 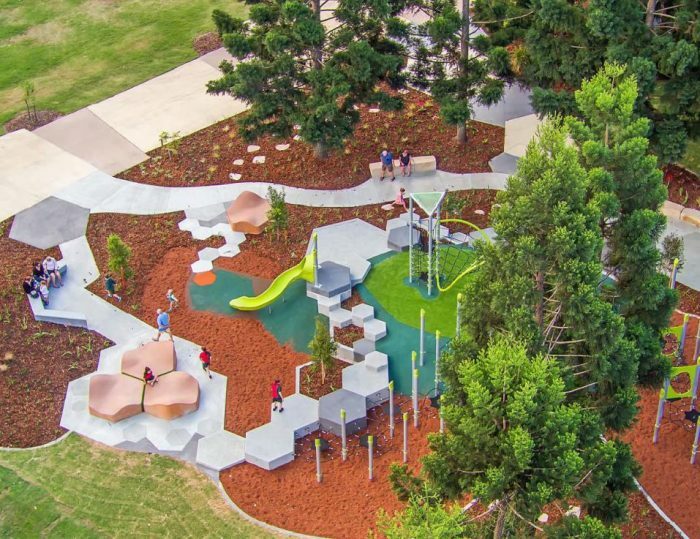 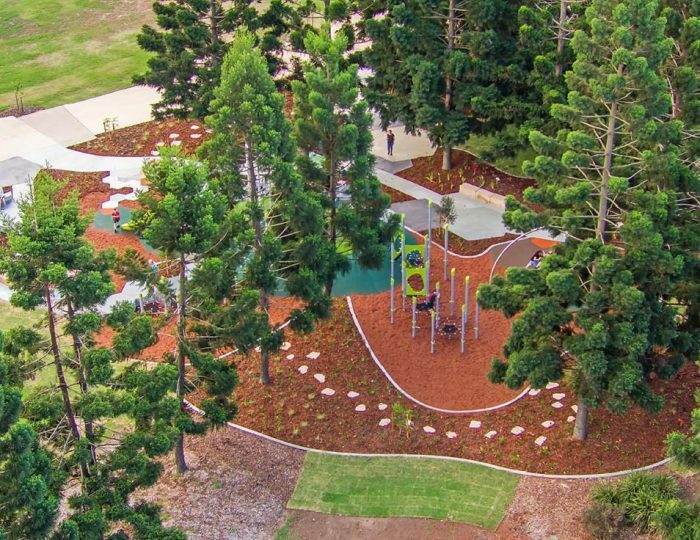 Construction was completed by renowned contractors, The Landscape Construction Company, with whom we worked closely to deliver what can only be described as a magnificent park experience. 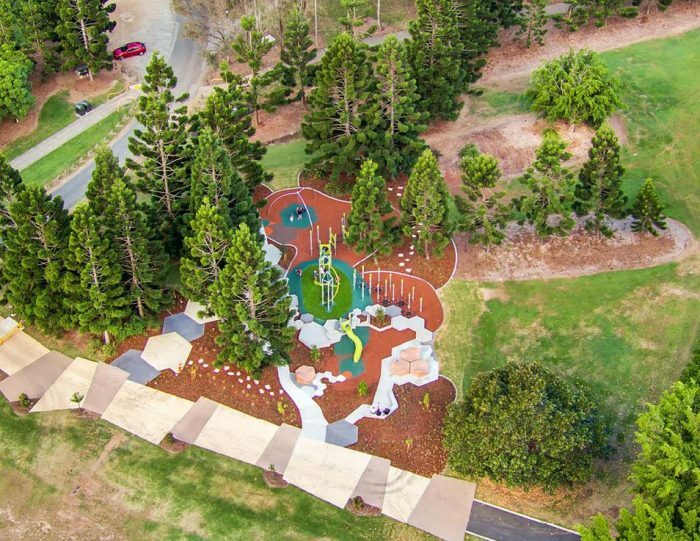 Thank you to Moreton Bay Regional Council for sharing these great drone images from the opening day!